25 years of celebrating love! Amidst a backdrop of 10,000 acres of beautiful Forest Service Land, Swan Point offers, a favorite of our "nature loving" style bride, a stage formed naturally from a moss rock outcropping native to this area. 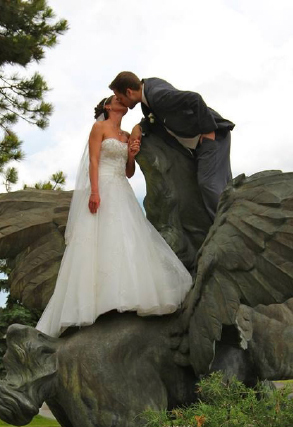 Swan Point is surrounded by magical Ponderosa Pine trees equipped with music, sound, and flood lighting in order to enhance the tranquil setting as you share your vows. Added to this natural arena is a beautiful redwood deck aligned with comfortable seating for up to 300 guests. Its wild flowers, tall grasses and chokecherry bushes make Swan Point a favorite location for outdoor couples. 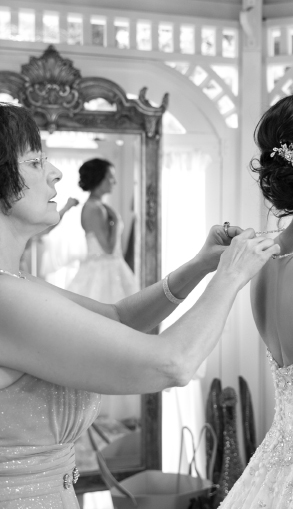 A favorite of our "simple and elegant" style bride... 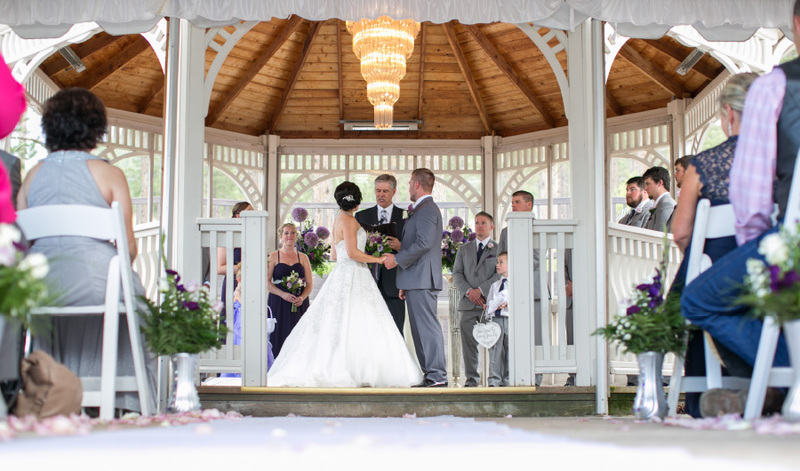 The Grand Gazebo houses a large chandelier which takes center stage above the bride and groom. The Grand Gazebo is surrounded by a fountain courtyard and a whimsical fairy garden and is adorned with flowers and grasses. 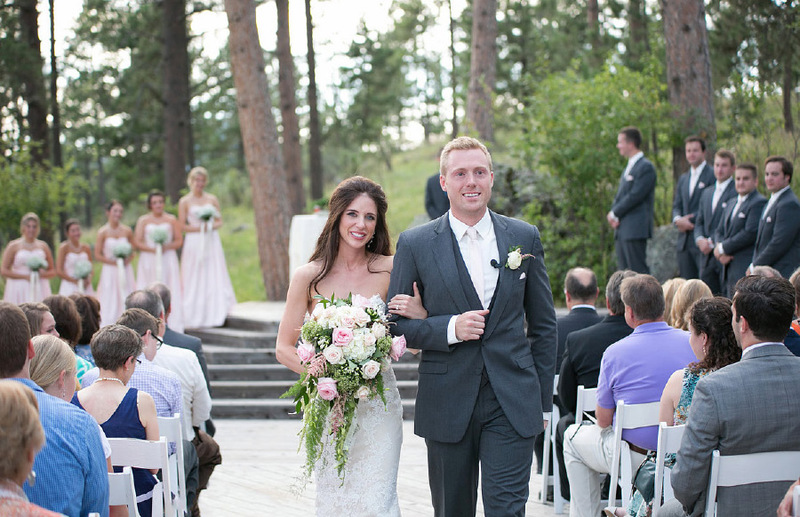 A winding brick walkway leads the bride down the aisle to her groom. 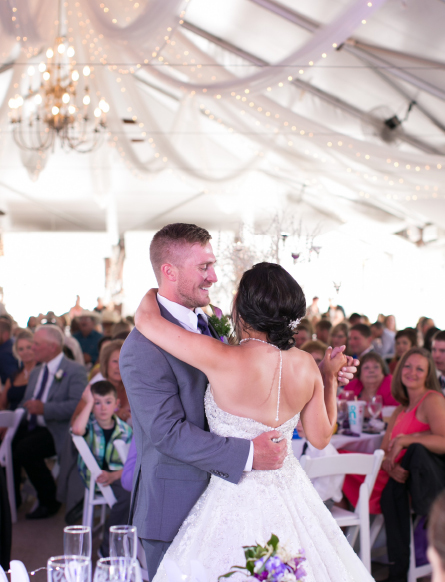 During your ceremony, your guests will enjoy comfortable seating beneath a beautiful, white, satin-ceiling tent and dove chandeliers. The Grand Gazebo serves as our four season wedding area, fully equipped with heat to accommodate special events during the colder months. The grounds are pristine and comfortable during any season so your guests are always sure to enjoy the unique natural setting. 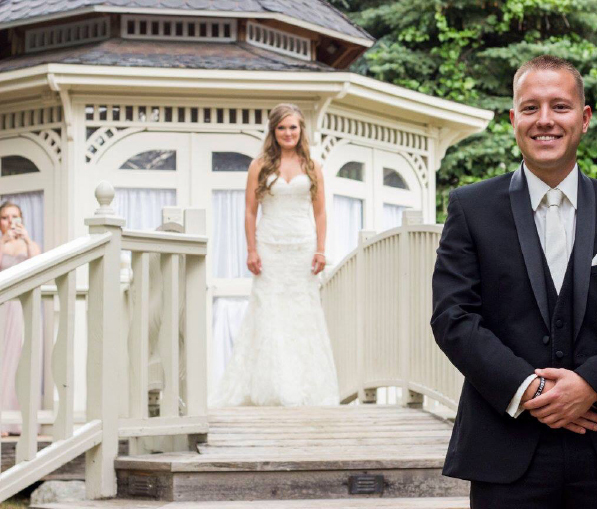 As the wedding procession begins at the classic stone columns, the wedding party will proceed along a winding brick path through the plush courtyard grass to your ceremony under a satin canopied deck into our Grand cedar Gazebo. Every bride will feel like a princess as she emerges from this charming dressing area, and flows down the alluring illuminated pathway, through the trees to the ceremony. 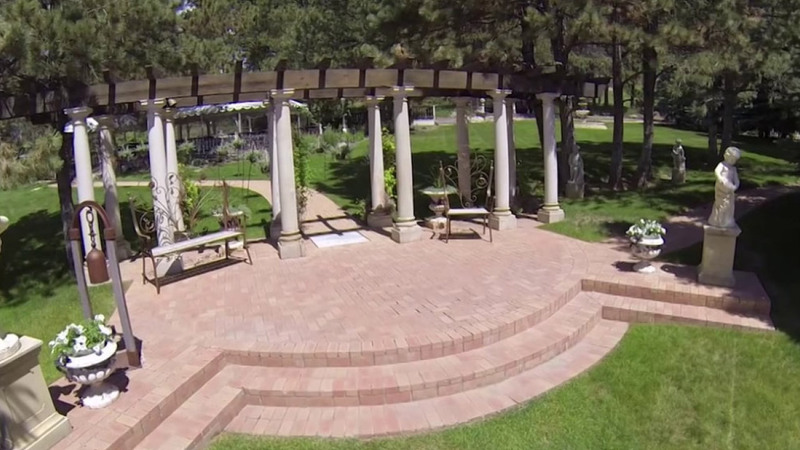 The Cinderella Gazebo can also be the perfect setting for a small intimate wedding ceremony. Resting upon a wooden bridge, the Bride and Groom can secretly enjoy a moment of peace together on their special day amid the natural beauty of the U.S. National Forest, weathered stones, and whimsical fairies. Stop at the wishing well. Together toss a coin into the water and magic can happen. 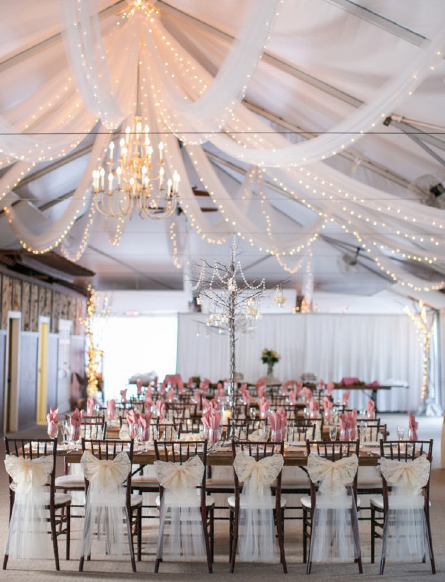 The accommodating space beneath this elegant white tent transforms from the delicate beauty of a natural sun-lit afternoon reception to a romantic atmosphere of open flame candle light and chandeliers. Yes real candles are used at Black Hills Receptions. Come alive with celebration as guests are entertained throughout the evening with celebration, music and dancing. Watch the flat screen… it’s your wedding slide show. 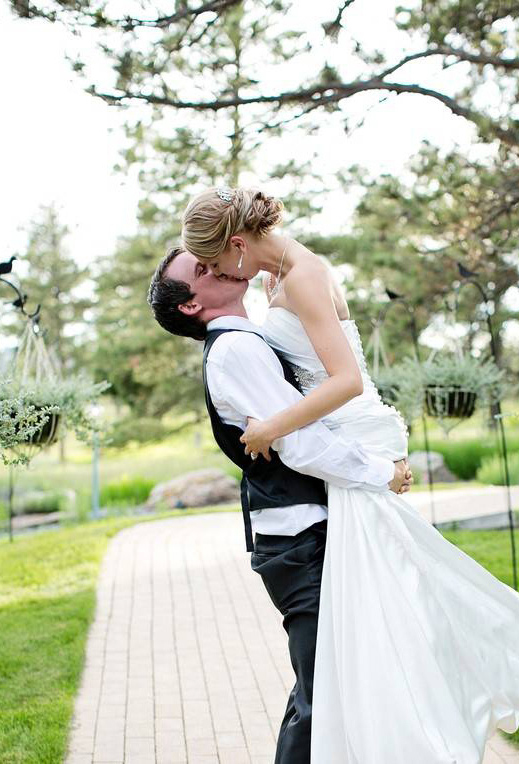 A CD will be given to the bride as her "thank you" compliments of Black Hills Receptions. Surrounded by Greco-Roman stone columns, a large fountain, graceful statues, and curving brick walkways, the Garden Courtyard provides the wedding couple and guests a beautiful backdrop for your wedding day splendor. Or perhaps host your cocktail hour sipping champagne on our manicured lawn. Whether you make your wedding vows at Swan Point or The Grand Gazebo, open-air cocktail hours are delightful when sipping champagne on our manicured lawn. 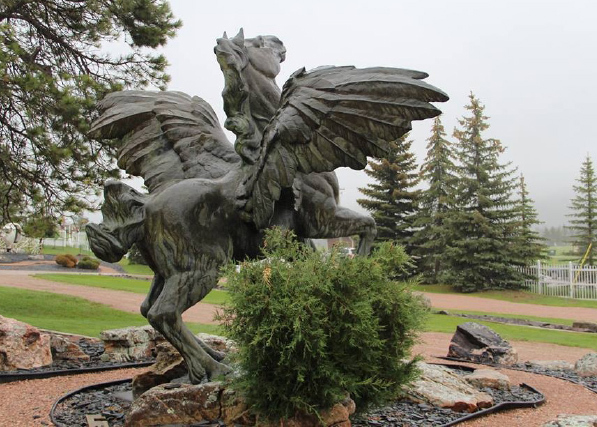 Standing here in bronze, this ancient 500 B. C. immortal winged horse symbolizes grace in love and strength in marriage.